Posts: 93 I did not see Tyrant. Can you tell me where? The liker was brief ... I liked the rest, but at the same time I realized that this was too realistic when the original was simple. I liked the references of 1.5 and dash. Batman: Nice! That is excellent details right there. Yeah it's not too bad is it? I was expecting a lot worse. It's the sort of changes we got from Remake, not too great that it loses it's nostalgic charm but enough to make it worthy of the revamp. Wait, which one is the corridor outside the STARS office? They have shown that already? AvpRyu: In the first trailer the Tyrant appears right at the end after the release date. There is also a shot of him from the back at 2.47. Yeah I just found it haha, Thanks this area look's so damn cool. Irons and Hunk's voices can be heard too and there is a PlayStation 1 on the counter at the shop with the rat. Time to study these trailers now. Edit: You can also see it again here, how dare that Licker crawl over the STARS plaque, he's gonna pay for that. Posts: 93 Is William Birkin the monster that hurts the Tyrant at the end of the tralier? I think the hat ... okay. The g-monster at the end invokes the monster two faces of the thing movie. Sooo any fans of Fallout here? Thanks, Bats. Watched a bit save the rest for later on.I like the atmosphere but I have to say the gameplay seem's exactly like Resident Evil 7,even the same UI. Ergh, that's a bit of a bummer to be honest hope I can see past that, just reminds me of a game I really don't like. Great ob's Rod those two are eerily similar. In Fallout 3 there is a track that sounds almost exactly like the music from the Training Facility in Zero. 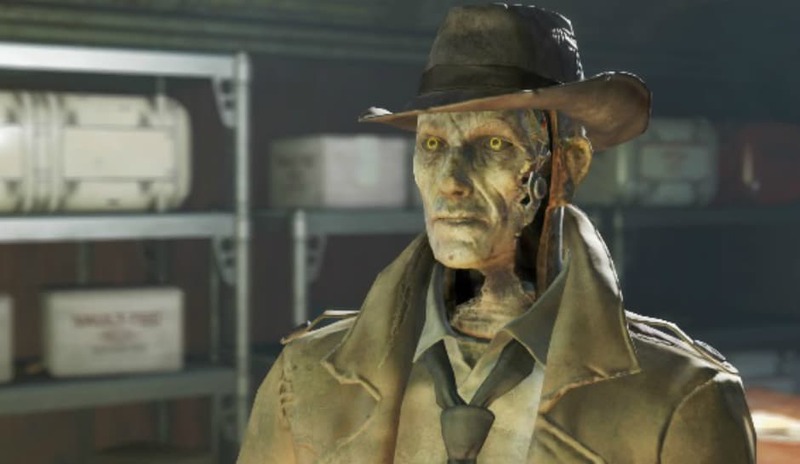 I've seen a few things in Fallout that reminded me of Resident Evil, maybe they enjoy each others games and are showing respect. Posts: 136 It looks like an evolution of RE7, which was already the modern equivalent of a classic RE title. If this can top 7, and retain the spirit of RE2, it may become my favorite game not just in this series, but of all time. 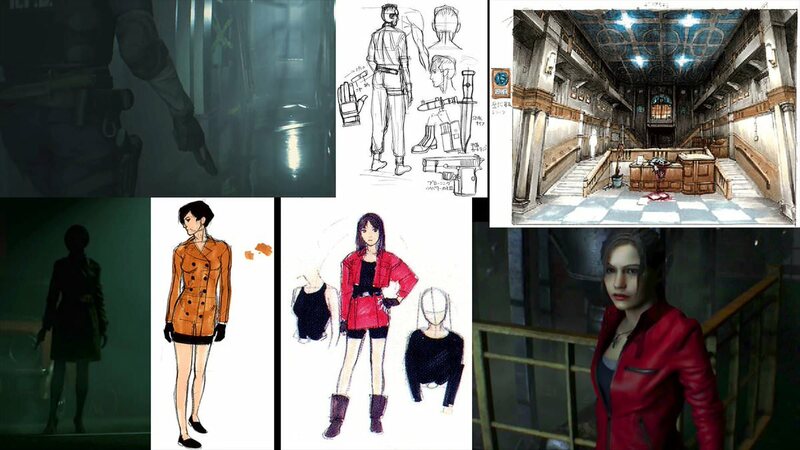 Also, the fedora originally came from RE2 (RE1.5) concept art, then considered again in Outbreak art. It makes it look more human from a distance, which was the goal of the Tyrant project. That is indeed G attacking it at the end of the first trailer. Looks like the two will fight. Some gameplay footage. Really liking the RPD Station so far. Posts: 771 So I found a few negatives I dont like about the game so far. The menus, item display and mostly the UI stuff in general is just copy and pasted from RE7 as well as the silly need a knife to get by sellotape trap which makes me wonder what else they have ripped from 7. Also the fact that its looking very much like Desperate Times is going to become non canon and finally it has little quest commands like search the Northeast area sod off, I want to explore and find my own way, I hope you can turn those off. Other than that though think everything else looks fantastic. From the demo and probably just the fixed handgun you begin with it takes 3 headshots to drop a zombie and when the guy got cornered by three of them I was genuinely worried for him and he barely made it out alive, thats a great sign of the old school gameplay about planning and being methodical with your gameplay. Posts: 136 What's wrong with taking from RE7? RE5 took from RE4, CV and RE3 from RE2, RE2 from RE1, etc. In order to make progress you need to build onto what came before, not start from scratch each time. 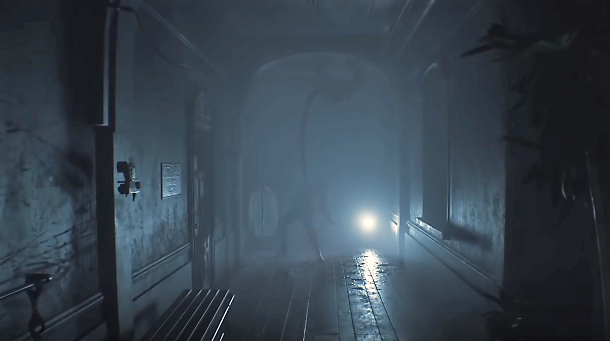 This game uses the same engine, tone, and atmosphere as RE7, and is a continuation of it's focus on realism over the stylized yet cartoony approach of the past. I always maintained that RE7 makes for an excellent foundation for future projects, even action oriented ones. Well first of all you know my thoughts on 7 so you should understand why I want any future RE games let alone a remake of a golden era game to have nothing in common with 7, so moving passed that I feel like reusing the exact same font/texture for Remake 2 is not only slightly lazy but also not staying true to the original.The way I see it this is a game about progression for the series in terms of finding their roots again but I think it is more important to pay homage. Reusing a game engine is one thing, I can appriciate that is a huge complicated long process but changing the font/texture for items is really not as complicated. The tone and atmosphere is something I will give credit to Resident Evil 7 for because without that game then we could be looking at a very different Remake 2. 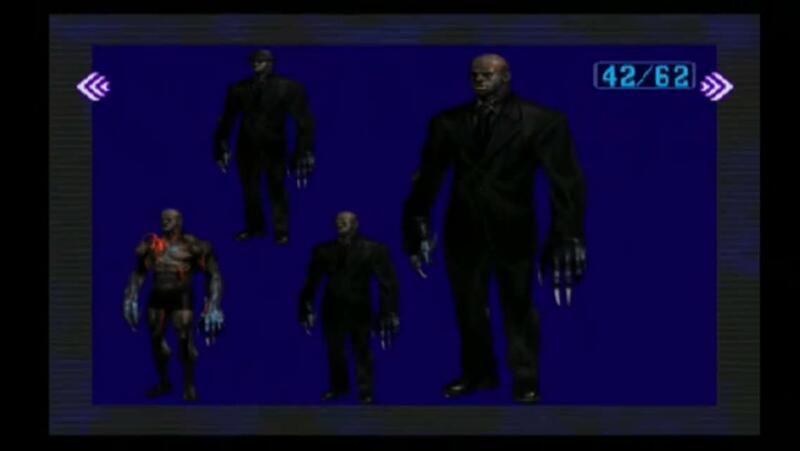 I think there were elements to 7 that have inspired the developers for Remake 2. However that is where I would like to draw the line, I want to see those cartoony style fonts and textures maybe with a more modern twist. I can't disagree with you that RE7 will be featuring it's style/elements in the future games but I didn't expect to see them in a remake. I am not saying this is a game killer for me, not like I will like or dislike it any less but it is something about the game which I don't like. Same goes for the other things I mentioned. Nothings perfect, it's just something that I would prefer to be different. I admit I was skeptical about this being remade but seeing the gameplay demo and these enviroments has impressed me so far. I can now say I am hyped for this and ready to explore those enviroments here. I am really looking forward to maybe seeing some cool easter eggs and files. I cannot wait to see the STARS office. It seems that both 1.5 & OutBreak are showing their influence quite well.. I so hope that OutBreak will have even more representation than what we see in the Demo. Just check out some of the Name Plates in the Office.. Rita Phillips, anyone!! Still, what with Marvin suggesting to Leon to find a way out of the RPD via the 'secret passage' in the Main Hall, that would suggest that Rita wasn't the very first to use it after all..
That being said, if Leon/Claire find any hints to Nerve Gas, that'll be great!! Posts: 136 Fair enough, BSAArklay. But I feel the cartoony visuals of RE2 would feel out of place in a modern horror game with this kind of dark tone. We will always have the original, and I will always value it's unique quirks and style. 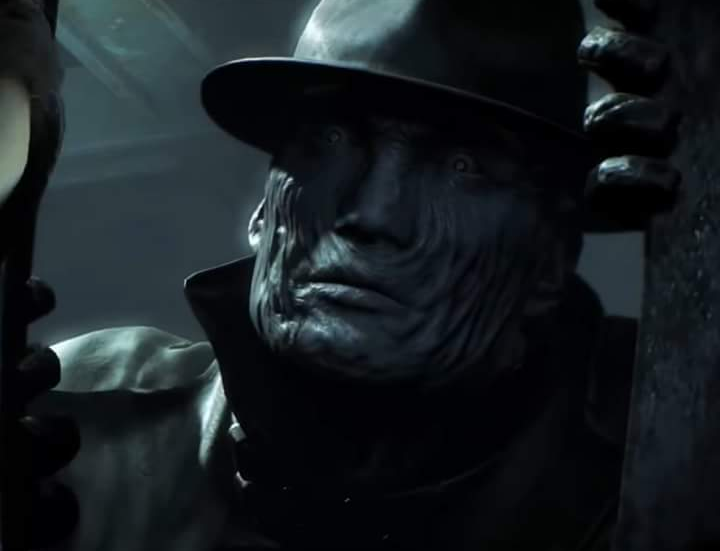 @JC Wesker, the fedora actually comes from RE2 concept art. That is true about the Fedora, but the picture I posted is from the OutBreak File #1 Gallery; I just thought it was interesting that they were still entertianing this look half a decade after 2, & to a point beyond sketch-work..
Mathilda has been renamed to Machilda. This game has restored by faith in the series, along with Resident Evil 7. It's taken some time, but we're finally healing from the mess that was Resident Evil 6.